Vazhappally Sree Mahadevar Temple is a Hindu temple located in Vazhappally near Changanassery in Kottayam district in the Indian state of Kerala. Believed to be constructed in the 1st Chera king. According to the legend, Kerala is the land gifted by Lord Parasurama, the sixth incarnation of Lord Maha Vishnu. The installation of the idol of the Lord Mahadeva was performed by Lord Parasurama himself. The Vazhappally Maha Siva Temple is one of the few temples of the state where two Nalambalam and two Flagmast are dedicated. This magnificent temple is one among the 108 Siva Temples established by Lord Parasurama. Lord Maha Vishnu was incarnated as Parasurama in the Tretayuga; the exact period of installation of this temple is not known. In ancient period, this temple had 54,000 para paddy fields (Nilam). The soldiers of Chempakassery Raja killed one Unni of Changazhimuttom family of Kuttanadu who has gone there to measure the “Patta Nelu” of Devaswom at Venattukara field. He is installed as a Bhramma Rakshas in this temple. In order to satisfy the Bhrahmma Rakshas, “Kazhumaram” was being made in front of the Rakshas Shrine and the Prathiroopam of Chempakassery Raja is hanged. But later, these forms were removed. The Raja gave the pooja items for Pantheeradi to the temple as a mark of his repentance for killing Unni. The Raja has appointed the members of Thiruvenkitapuram Warriam as the heir of “Pantheeradi Choru”. The idol of the vazhappally temple is centuries old and is considered as the Siva of Neelamperoor temple. The legend behind this concept is that CheraRajaPallibana Perummal, a follower of Budha, when de-throwned by the “Hindu Bhattas” following a defeat in argument, reached Neelamperoor. The news came to the ears of the potties of pathillams (Chengazhimuttam, Kainikkara, Eravimangalam, Kunnithidasserry, Athrasserry, Kolencherry, Kizhangazhuthu, Kannancherry, Thalavana etc. ),that perumal is going to install his personal idol at Neelamperoor. Pathillathil Pottimars run with the idol Shiva of Neelamperoor and installed that idol at Vazhappally. Vazhappally copper plate (c. 830 AD) is the earliest available inscription in Malayalam language. 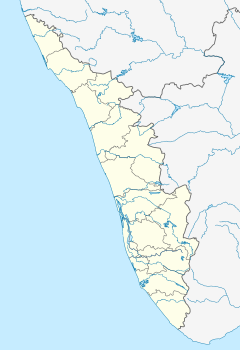 It is a temple committee resolution in the presence of the Chera king of Kodungallur Rama Rajasekhara (c. 800–844 AD). The copper plate (incomplete) is engraved in an old form of Malayalam in Vattezhuthu and Grantha scripts. .
“ "Namah Shivaya! The [regnal] year twelve of Sri Raja Rajadhiraja Parameswara Bhattaraka Rajashekhara Deva [was current]. "[The following was] the arrangement made by Thiruvattuvay Pathinettu Nattar and the Urar of Vazhappalli who met under the presidency of Rajashekhara Deva. Those who stop the perpetually endowed muttappali in the Thiruvattuvay should pay to the Peruman Atikal a fine of one hundred dinaras; and [are to be considered] as Having Taken their [own] Mothers for their Wives. "Among the servants [panimakkal], those who stop [the muttappali owning to their own negligence] should such pay a fine paddy as measured by and made up to four nazhis for occasion [muttappali is so stopped]. Of this the paddy due as padavaram should go the capital [set apart] for the shanthi and the [remaining] nine parts for the muttappali. [And] this fine should be remitted before the midday muttappali of the Pushya star in the month of Thai. If not so paid, they become liable to pay twice the amount [penal interest]. Wikimedia Commons has media related to Vazhappally Temple.